Unusual shapes have always had a particular effect on my imagination. I could see the curves, angles and spirals intertwine and create intricate shadows; on the way they would meet different colours, come to life and start to breathe. I couldn’t quite grasp this abstract process though, until I made my very first hat. Suddenly I understood what I could feel only vaguely but deeply. This is how Merlixa Designs was born. 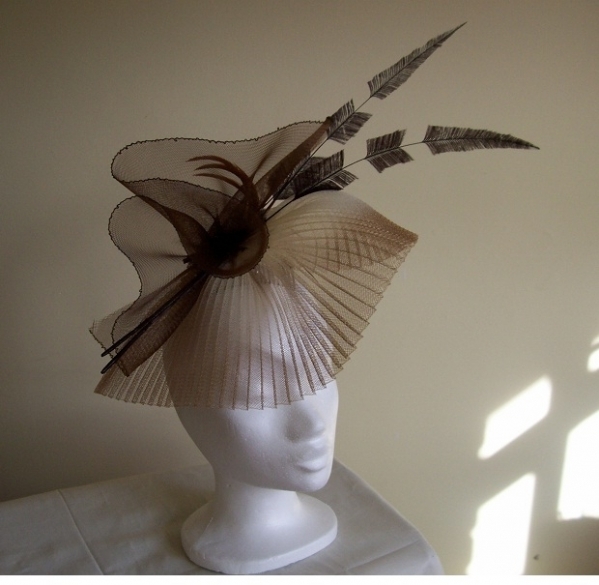 When I design a hat, step by step I create a different world and tell a story. I am constantly updating this page with my new designs so follow White Rabbit to the world of shapes and shadows. Subsribe now and receive new White Rabbit posts in a reader! Love the golden head piece!!!!! !